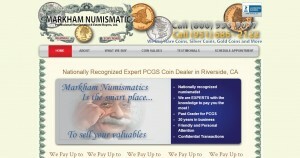 Markham Numismatic address, phone, website, and more. At Markham Numismatic, we want you to get more cash for your prized possessions. The only way we are able to do this is our unsurpassed knowledge and experience when it comes to your gold, silver and rare coins. Typical scrap gold buying dealers will not know the difference between a highly valuable coin and average coin. To learn more see our section towards the bottom on our homepage “Silver Coins Dealer.” Our goal is to see you come back again as a satisfied customer, having received the most value for your jewelry, gold, coins or diamonds. People are often confused at our ability to offer the highest value for precious metals. The secret behind our success is simple. Other gold buyers will evaluate your jewelry based only on weight, and from that measurement will pay you approximately one-third of the resale value. Most retailers won’t tell you the actual value of your gold and will sell your items to refineries for extraction. 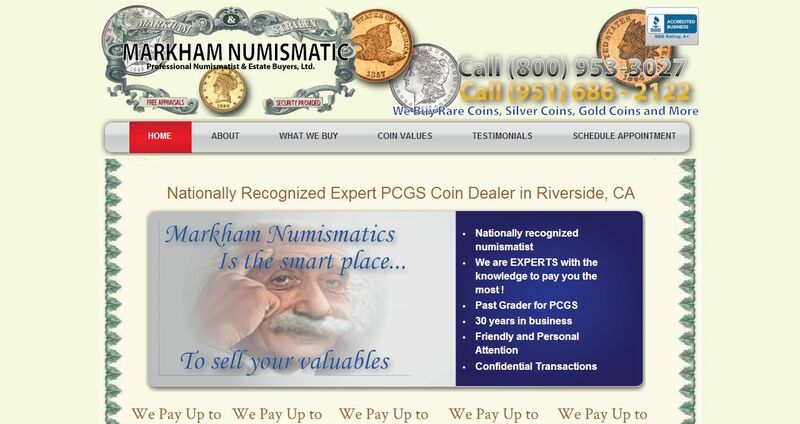 With 25 years experience and grader for the Professional Coin Grading Service (PCGS) and a nationally recognized numismatist, Markham Numismatic is here to give you the most for your precious gold, coins, diamonds, metals and jewelry. We are the only a coin dealer but a gold buyer that has a global network of resources. We won’t give you pocket change for your jewelry or gold because we have a wider access to precious metal buyers from around the world that our competitors don’t. These buyers specialize in watches, gold coins, silver coins, estate jewelry, diamonds, colored stones, and sterling silver. Because of our connections, we buy the rarest and most unique items for resale to international collectors. As a result, our distributors get more of the products that they want and our customers get more value for their items.